Photo by Adam Jones used under CC BY-SA 2.0. Slack is setting up shop in the nation’s capital. Politico reports the company hired lobbyists to tackle “general education about the product and business.” The move comes months after Slack hired its first D.C. staffer: Adam Conner, formerly a top aide at Brigade, a politically-focused social network, and a veteran of Facebook’s Washington office, Politico reports. Digital startups were supposed to figure out how to replace the legacy news outlets. Now they’re facing their own headwinds, Nieman Journalism Lab reports. Consider these, says Nieman Lab – at BuzzFeed, a 32 percent miss in 2015 revenue and a halving of its 2016 revenue target; at Mashable, a massive layoff after the company failed to sell itself; and at Yahoo, an upcoming sale of its news-producing assets, portending great uncertainty for journalists employed there. 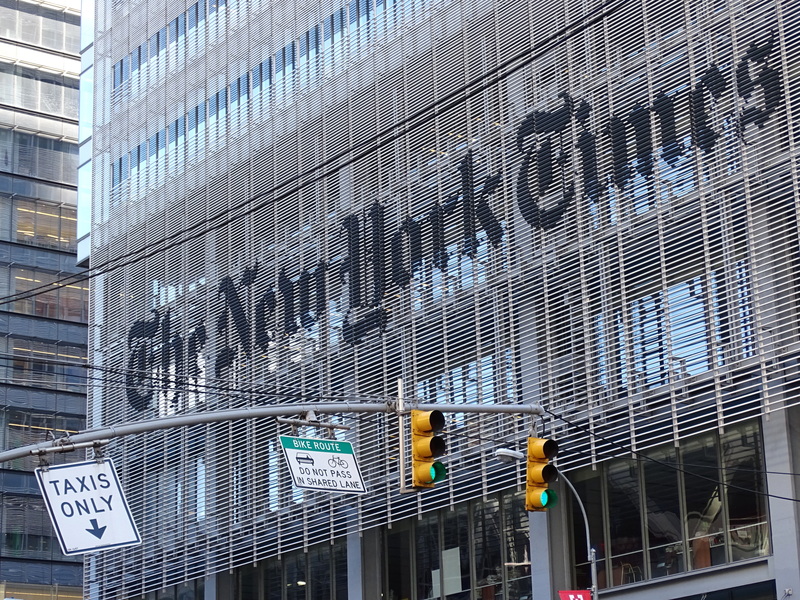 The New York Times Company plans to invest more than $50 million over the next three years to expand its international digital audience and increase revenue outside the United States, the company says. Leading the effort is a new team: NYT Global. “Because our digital report is still designed and produced mainly for a U.S. audience, we have not come close to realizing our potential to attract readers outside our home market,” says a memo by Arthur Sulzberger Jr., The Times’s publisher; Mark Thompson, chief executive; and Dean Baquet, executive editor. Instagram revamped its Explore page adding a new, personalized channel for videos, Videos You Might Like, SocialTimes reports. The Facebook-owned photo- and video-sharing network said Videos You Might Like only is available to U.S. users at launch, adding, “We’re working to bring this to the rest of the world soon,” SocialTimes says. Reuters has launched its homepage. The page emphasizes images, videos and feature reporting. FishbowlNY lists some of the Reuters.com highlights include larger images, faster load times, and markets data is given more prominent placement. FishbowlNY reports Reuters digital publisher Bill Riordan said the revamp was inspired by Reuters’ recent mobile update.